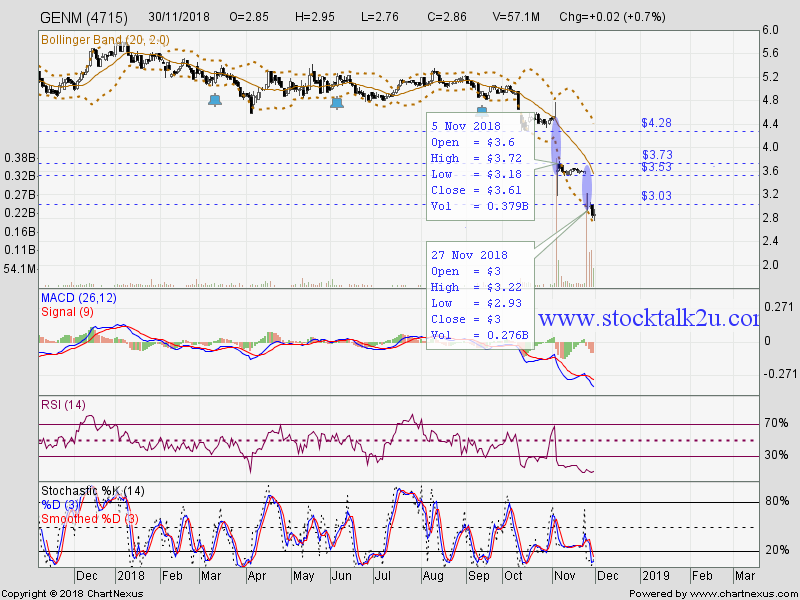 GENM retrace down from RM5.30 resistance level. 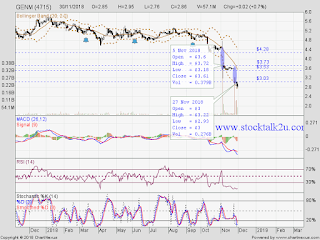 Will it form technical rebound @ RM2.00 psychology level ? Stochastic %K on oversold region. Immediate support @ RM2.50 level. Immediate resistance @ RM3.00 psychology level. Subsequent resistance @ RM3.03 level. How will market re-act? Will it form 3rd gap down?